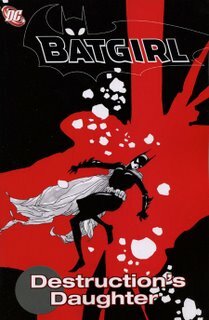 Certainly I can understand why Cassandra Cain's murder of Lady Shiva and apparent turn to villainy at the end of Batgirl: Destruction's Daughter would be controversial; it does indeed fly in the face of a whole lot of characterization of--and more than that, progress made by--the second Batgirl over seventy-three issues of her series. At the same time, if we posit that Andersen Gabrych--who, for all intents and purposes, had a stellar run on Batgirl--only had so much time to wrap up Batgirl, and likely faced an editorial decree as to what Cassandra Cain's mindset had to be when the story ended (this is pure speculation on my part, but it's been known to happen before), then I have to say that Destruction's Daughter works for me; it's not what I might have preferred, but the story progresses logically and Cassandra's turn, in the end, at least makes semblances of sense. 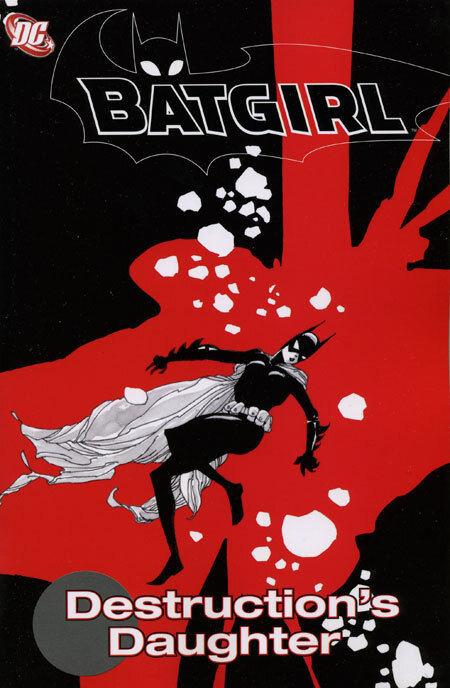 Though I've decried Batgirl's trade gap previously, it does now work over six volumes to show her first and second battles with Lady Shiva, and then ultimately her move to Bludhaven and her search for Shiva again; if, ultimately, the most important thing is that the trades tell a good story, then the Batgirl collection all together is a good story. And certainly, one can't say that Gabrych seems to take Cassandra's turn lightly. This trade hits all the requisite notes, including lovely scenes with Bronze Tiger, and with Batgirl and the Birds of Prey. Gabrych does due dilligence to the Spoiler, as well, and even appropriately references the question of Shiva's children vis a vis Batman and Jason Todd's meeting with her in Batman: Death in the Family. And putting the new Batgirl in the old--almost--Batgirl costume at the end of her run was inspired as well. Snap Judgments also weighs in on the Batgirl debate, somewhat more succinctly (also contains spoilers). And for a slightly more ... irreverent perspective, check out these Casstoons.